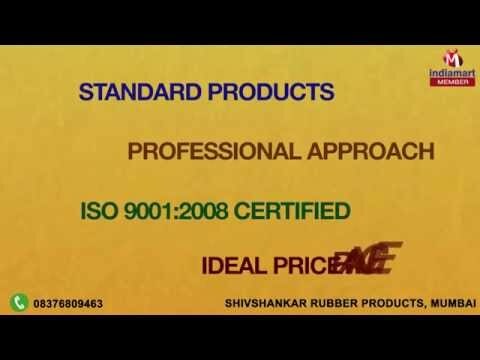 Welcome to Shivshankar Rubber Products, established in the year 2005, an ISO 9001:2008 Certified company, we are leading manufacturer and supplier of Rubber products, Rubber Cords, Rubber Profiles, Rubber Gaskets and Electrical Rubber Products Our range includes Rubber Products, Rubber Cord, Silicone Rubber Cords, Extruded Rubber Cords, Electrical Rubber Mats. These products are appreciated for their durability, reliability, efficiency, competitive market prices and precision engineering. The entire range is made using best quality raw material, which is duly verified by the auditors hired by our organization. Our products are in great demand across varied sectors of the industry. These are known for restricting harmful conduction of electricity, especially into undesired areas. The production takes place at out state-of-the-art facility, which is manned by qualified professionals.